How Sanders is setting out to prove himself to a new generation of civil rights activists. 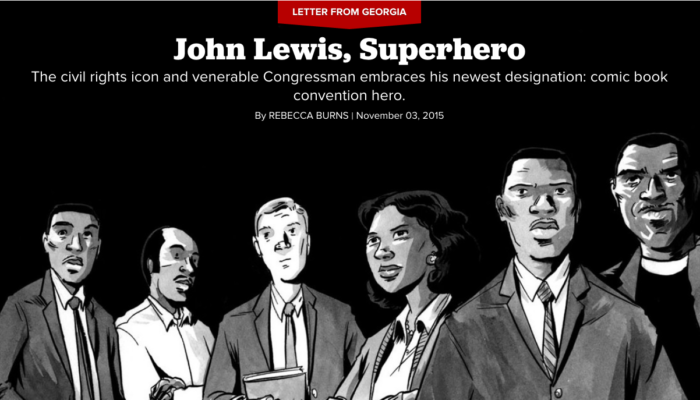 The civil rights icon and venerable congressman embraces his newest designation: comic book convention hero. The rebuilding of New Orleans’s massive City Park is one of the great post-Katrina success stories. But the creation of a new golf course has sparked protests among those who say a nature reserve would be better, and safer, for the city. An interview with Steve Oney, author of the definitive book on the Frank case. What has Atlanta Public Schools learned from the cheating scandal? After generations of neglect, the city’s park system is finally getting the attention (and resources) it needs. 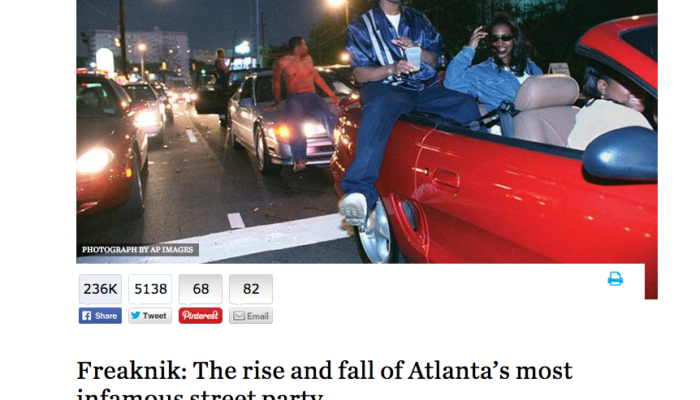 The rise and fall of Atlanta’s most infamous street party. Blizzard alert! How do US cities compare in dealing with major snowstorms? Whether two inches or two feet, snowfall can wreak havoc on a city – as residents of Atlanta and Buffalo know all too well – or it can be a relative non-event. So how should a mayor best respond to a serious forecast of snow? How Utopian Academy, an upstart charter school in Clayton County, is challenging the status quo. 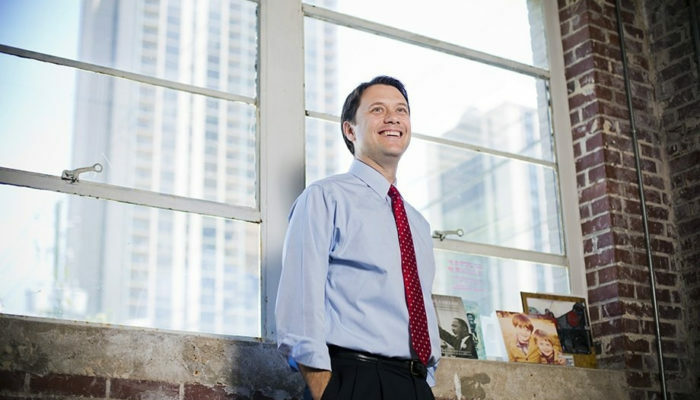 Can the man who’s been building the resume for this election since he was a teenager save the Democrats in Georgia? The city was burned to the ground 150 years ago. Could it be the best thing that ever happened to us? Many of the 105 million parking spaces in American cities are under-used: could they be re-purposed into affordable housing? 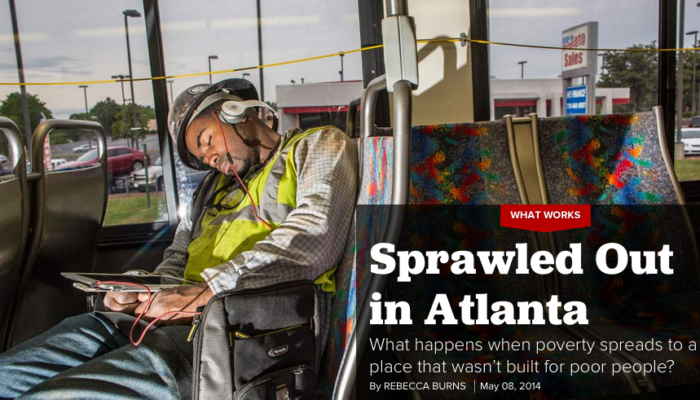 Can Atlanta Go All In On the BeltLine? The project’s been a huge success, but transit has been lagging and there already are affordability concerns. In a region known for celebrity chefs and a farm-to-table movement, 500,000 people are without access to a basic grocery store. We’re not a national joke anymore. But our city’s still a sprawling mess. 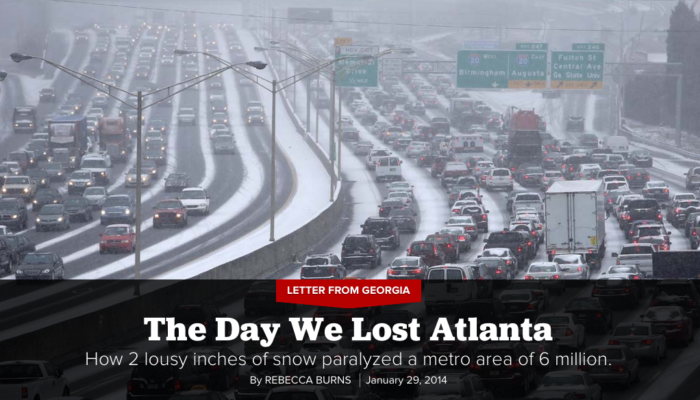 How 2 lousy inches of snow paralyzed a metro region of 6 million. Martin Luther King Jr.’s youngest child is taking over the family business. 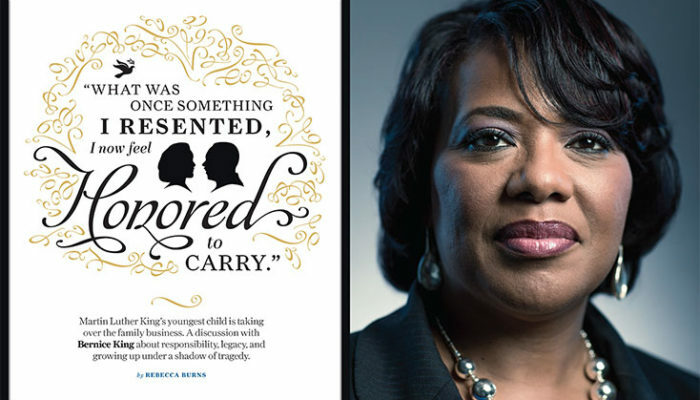 She discusses responsibility, legacy, and growing up under a shadow of tragedy. 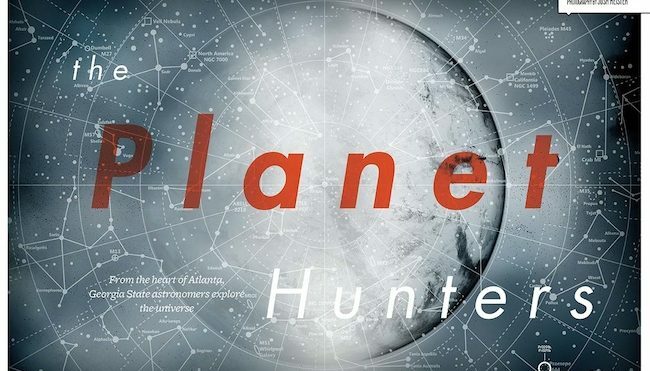 A varied collection housed at Emory offers new insight into decades of work by the Southern Christian Leadership Conference, including the years following the death of its iconic leader, Martin Luther King Jr.
From the heart of Atlanta, Georgia State astronomers explore the universe. 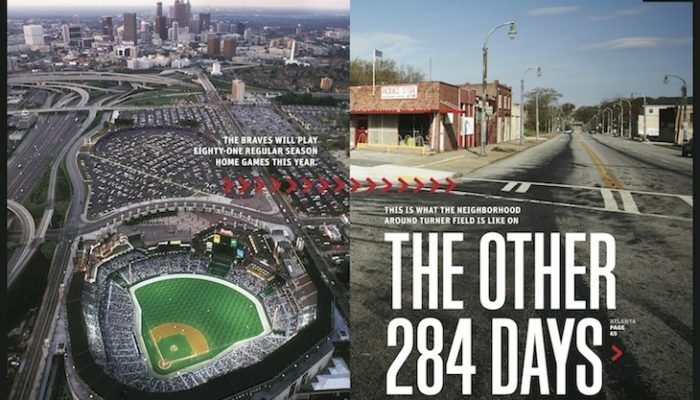 The Braves will host eighty-one regular season home games in 2013. This is what the neighborhood is like the rest of the year. The past 25 years have seen the transformation of student life and campus. 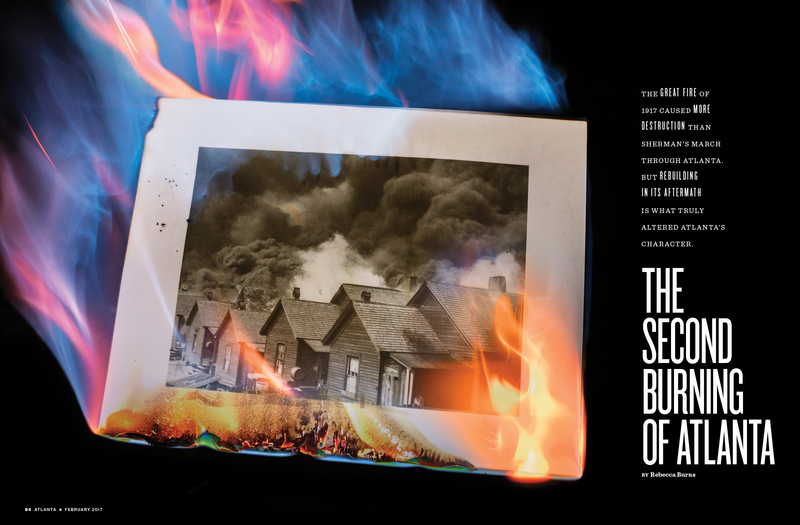 Birthplace of both Margaret Mitchell and Martin Luther King Jr., Atlanta embodies the collision of Old and New South myths. Can Kwanza Hall’s ‘Year of Boulevard’ experiment transform intown Atlanta’s most notorious street? 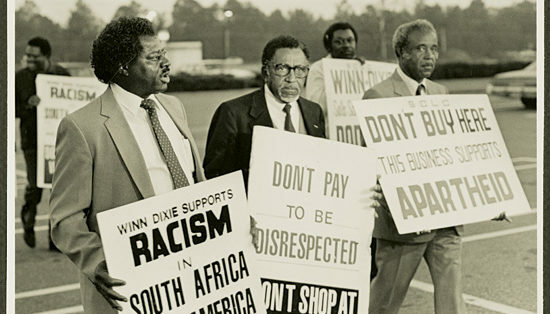 Fifty years ago this month, students at the Atlanta University Center published a civil rights manifesto and changed the country.